Pratt Display is America’s preferred supplier of sustainably sourced point-of purchase displays. Its mission is to provide unrivaled service, product and innovation while delivering environmentally friendly products made from 100% recycled materials. 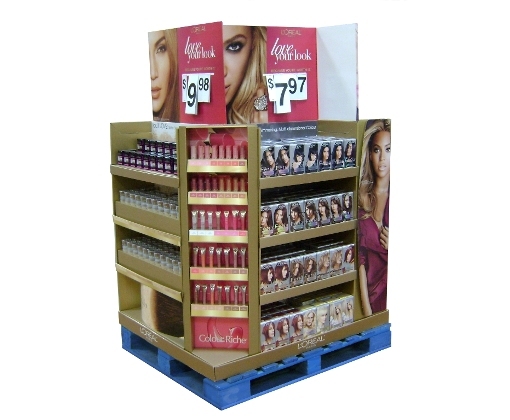 Seize shoppers’ attention, even in high-traffic areas, with custom-designed endcap, PDQ tray, half- and full-pallet displays. Mixed-media messaging slows the pace in-store with LCD monitors and demonstration videos – engaging shoppers with a full sensory story. Award-winning designs build brand identity, awareness, loyalty and drive incremental sales in the retail environment. Tell a compelling lifestyle story with cross-category and cross-brand promotions. A touch-and-learn approach helps shoppers relate to new products and experience benefits — inspiring them to pick up your product, get a feel for it and head to check-out. Displays are designed to be durable enough to keep your products looking good longer, but engaging enough to keep them jumping off shelves. 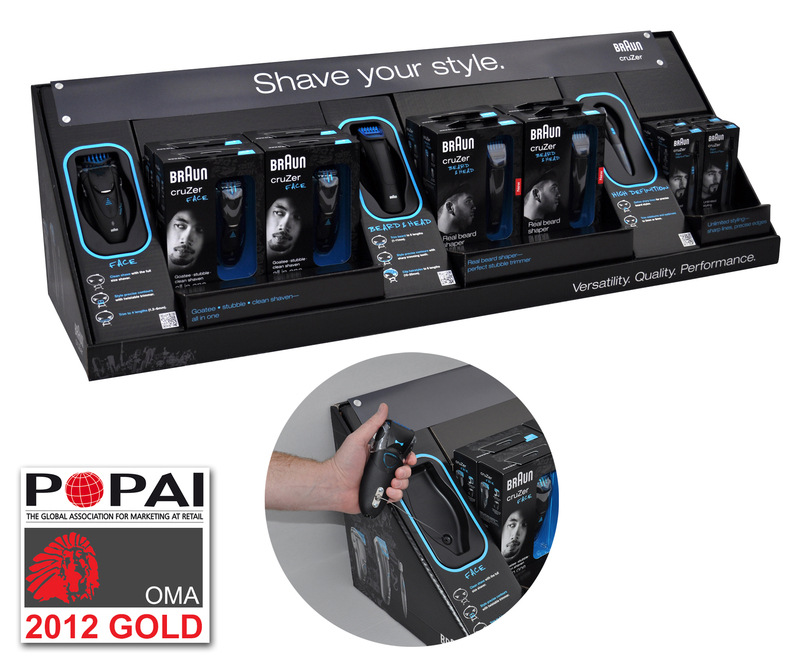 Our displays have won highest honors in some of our industry’s foremost design competitions, including Shopper Marketing Expo’s Design of the Times contest and the POPAI OMA Awards. Stand for something like sustainability. Put your values on display for retailers and shoppers alike – Choose rugged, dependable corrugated displays made from 100% recycled material. Show the world that you’re a part of the movement toward sustainability. It not only positions you competitively today, it pays even greater dividends in the long-term. Stay at the forefront of today’s retail industry through a commitment to living your values. Pratt Display helps your brand stand for something — in the minds and hearts of shoppers and the retail giants that are increasingly courting an audience committed to sustainability. Sustainability is always part of the package. But what does it mean for our clients? Our regional approach to account management, and nationwide network of production facilities saves time on production and cost on freight, helping to keep clients within budget. Since most shoppers make buying decisions right in the store, we work closely with clients to make sure that our displays inspire impulse buys and motivate shoppers to consider your brand. As part of the world’s largest, privately held 100% recycled paper and packaging company, we have committed ourselves to unrivaled service, reach, reliability and sustainability. Our investment in clean energy and use of recycled materials helps bring your point-of-purchase display strategy into your sustainability story. We’ve created an extensive portfolio of engaging point-of-purchase materials, from temporary to semi-permanent to permanent displays, breathing life into products as diverse as cosmetics and automotive care. Our seasoned designers and account team help to craft displays that grow your customer base, increase sales, attract attention, and strengthen your brand presence. We provide cost effective supply chain and merchandising solutions to simplify our clients’ business processes, create brand awareness, and drive profitability. Our vision is to create a unique and rewarding shopper experience by promoting brands that add value to everyday life, and to deliver those products in sustainably manufactured packaging. We deliver one-stop shopping from concept to cart. From concept and design services to manufacturing and assembly, we’re there for our clients every step of the way. Every touchpoint in our process serves each client’s unique needs, while our regional approach ensures maximum efficiency and increased speed-to-market. Green-tech investment delivers sustainability and cost savings. Pratt Display has devoted significant resources to building out facilities equipped with state-of-the-art machinery and processes designed to save clients time and money while minimizing our impact on the environment. Through the use of 100% recycled materials and a relentless focus on innovation and efficiency, we strive to create durable and attractive displays in a sustainable and energy-efficient manner. We devise smart strategy from deep knowledge of the local retail landscape. Pratt has a nationwide network of production facilities and offices strategically located to deliver informed and personalized service. We work hard to understand and respect the local strategic landscape, and consider it our privilege and responsibility to make a positive impact on the communities in which we work and live. Seasoned account execs and designers in tune with the demands of your industry. With 25 years in the display business and an experienced team, we serve clients in a wide array of industries and markets. Whether you’re selling car care products, produce, pharmaceuticals, beauty products, home and garden supplies, or razors, Pratt Display has the experience to inspire sales by bringing out the best in your product. A wide array of designs and approaches to suit your goals. We create temporary, semi-permanent, and permanent displays, as well as custom-designed point-of-purchase products that are handsome, functional, and adaptable to changing needs. For 20 years, Pratt Display has been building the best team in the business. As we’ve grown, we’ve stayed focused on two goals: putting our extensive design experience to work for our clients and staying at the forefront of a rapidly changing industry. Our highly skilled and committed workforce allows us to put together a dynamic product offering. Through diligent research and study of the marketplace, Pratt Display is able to craft point-of-purchase strategies that help our clients effectively engage shoppers in retail locations across the country. Pratt Display is able to deliver industry-leading service by taking a regional approach to design and account management support. Our regional setup allows our team members to provide a more personal level of service; to react to changes quickly and decisively; and to better understand needs and market forces in all parts of the country. We’re also committed to sustainability — because we believe in its benefits for our clients, our business and the world at large. Pratt Industries’ four state-of-the-art mills produce more than 1 million tons of 100% recycled paper per year. 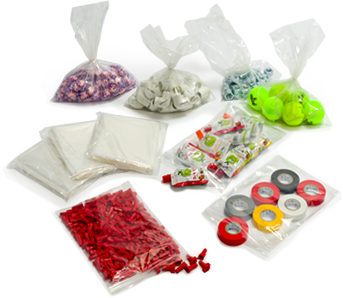 This raw material then goes to our manufacturing facilities in 25 states where it’s made into durable and attractive point-of-purchase displays. Not only does this keep our costs competitive, it helps us ensure a high standard of quality. Our green-collar workers take great care to ensure that Pratt Display products are sustainably sourced and built to last. How your product is presented in retail aisles is a big part of making a strong first impression on shoppers. Our highly experienced design team, supported by seasoned structural and graphic specialists, make sure that each display reflects well on your brand, engages shoppers and clearly communicates your product’s value. We start with the best design team in the point-of-purchase business, but we don’t stop there. Pratt Display also takes a proactive approach to technology adoption. 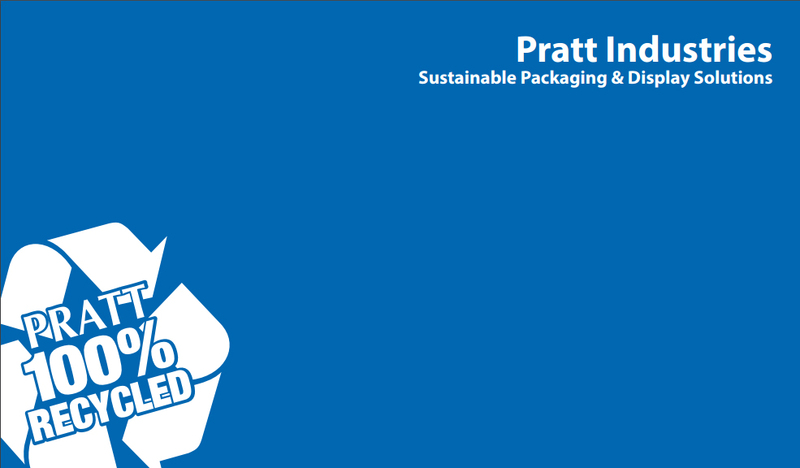 Pratt is at the forefront of the retail display and packaging industry, leading in expertise and innovation. State-of-the-art software and machinery produce displays that set a high standard for precision, durability and functionality. Clients also benefit from an in-house business process consulting team trained to fine-tune your approach to display and packaging, including benchmarking against the rest of the industry. We demonstrate our commitment to sustainability by building displays from linerboard made with 100% recycled material. Our designers look to use less raw material through board-use efficiencies — allowing us to use less energy and fuel for manufacturing and transport, and to pass on cost savings to the customer. Teaming with Pratt Display adds credibility to your commitment to green business practices. Based on the materials you choose and the run size of your project, we provide clients with scorecards, which put the sustainability of our processes and materials into easily visualized terms: trees saved, gallons of water saved by choosing recycled content. Armed with high-quality raw materials and the latest software and machinery, our structural and graphic design teams provide expert service from concept to installation. We work hard to keep clients informed and empowered in the design and construction of the displays that will speak to their brand’s value. Our design team consults with the customer to run through the process and identify ways to streamline in three key areas: quality, time and cost. By starting with templates and then customizing for clients’ specific needs, we’re able to reduce costs, identify manufacturing efficiencies and save on labor involved in assembly. What works in stores in Nebraska might not in stores on Long Island. That’s why Pratt takes a regional approach to the design and production of displays and packaging. Our regional studios know the local retail climate inside-and-out. With designers and account managers well versed in the local retail landscape, we bring the reach and resources of a national firm to the regional level. Proximity to both our clients and their retail partners allows for personalized service and cost savings on shipping and installation. Pratt Display offers you the ability to visualize displays at all points in the process. Using the latest software, including Artios CAD, CAPE, TOPS, Illustrator, Photoshop, Strata 3D, SolidWorks, and Autodesk 3D MAX, our design team can create detailed renderings, specifications, die-lines, pallet patterns and other design-specific files and documentation. You shouldn’t have to wait until displays and packaging end up in stores before you get a feel for how they’ll showcase your product. With detailed mockups created by large-format inkjet printers, you’ll know exactly what you’ll be getting before it’s too late to make adjustments. Our studios are also equipped with Konsberg XL-24 cutting tables so we can create production quality samples for fit and feasibility validation. Our clients won’t deal with surprise damage when displays arrive at mass retail locations. Ship testing means that all displays will be structurally sound. Pratt displays come through transport, distribution and delivery more than just intact, but as impressive and engaging as when they left the manufacturing facility. We leave nothing to chance. Especially when it comes to the integrity and appeal of our display products. Every display is ship-tested in our ISTA-certified lab to make sure it arrives to the retailer in impressive shape. Our lab conducts extensive testing to protect against nearly every threat our display may face on the way to the retail location. This includes strength and surface analysis, cyclic humidity studies, UN-DOT-Hazmat and ISTA shipping container certification, Amazon, UPS and FedEx testing, and paper and board/box testing. Test results are provided to customers in a comprehensive and detailed report, so you won’t have to deal with unforeseen issues when displays arrive at retail stores. Any concerns will be addressed by our lab’s troubleshooting and support. In a rapidly changing industry, our clients benefit from nimble and flexible manufacturing capabilities. Pratt Display delivers in key areas to help our clients keep up with growing demand and exacting brand standards. Top-quality displays start with an investment in the latest technology, including 7-Color Martin DRO 1628 NT HBL rotary die cutters, high-speed multicolor presses and Automatan Litho Laminators, as well as the latest electrostatic Model EM labelers. Also enjoy precise finishing work that’s the result of the flexibility of flat-bed die cutting capacity provided by both large- and small-format specialty folder-gluers. Pratt Display’s production facilities offer clients the scale to handle large runs and high output, as well as the agility to turn around small runs quickly and cost effectively. Our advanced digital print capabilities drive flexibility and efficiency to support late-stage differentiation opportunities, including retailer-specific events, campaigns aimed at small regional markets or test audiences, and demographic-specific displays. To ensure that we’re always able to meet clients’ changing needs at a moment’s notice, we keep capacity available at all times. We’re prepared for quick setup and short-run manufacturing. 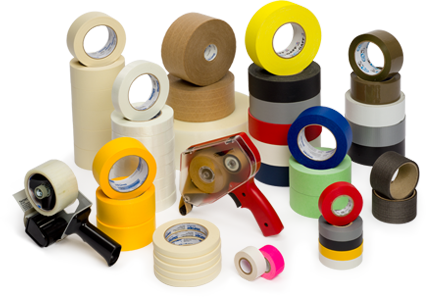 At Pratt Display, we believe that to be a reliable partner to our customers, we should always have a backup plan. In the event a machine breaks or is in need of repair, we have redundant equipment across our manufacturing network to ensure uninterrupted service. That way, you’re not stuck waiting out unforeseen delays, and you can depend on us, even as your needs grow. Pratt Display combines its own regional manufacturing and shipping capacity with assembly expertise to offer a robust menu of services, including produce-to-order capabilities, inventory management of both WIP and finished goods, and pick-and-pack operations. 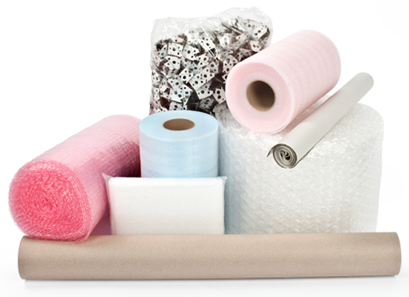 Whatever your needs — whether it be PDQs, sidekicks, floorstands, or pallet displays, heat or steam shrink-wrap, blister packs, gift sets, printed bands, labeling, kitting or special packs, — Pratt Display has you covered. With nearly one million square feet of contract manufacturing space at our disposal, Pratt Display offers the flexibility to fulfill orders big and small, from business-critical large runs to targeted display campaigns needed on a moment’s notice. We work hard to continually improve our processes and facilities, to ensure stringent quality control and regulatory compliance, and to find efficiencies to save our clients on costs. We recognize that each client has unique needs, so we prioritize communication with clients, transparency, and offering a unique and customizable array of fulfillment services. As a value-add for our customers, we have an in-house business process team available to consult and make best practice process improvement recommendations. Best practice benchmarking is used to measure an organization’s performance in comparison to others in the same industry. Our team works closely with the customer to understand the intricacies of their current process and, in a collaborative approach, to identify areas for improvement. Process improvement usually targets three areas: Quality, time and costs. Every Pratt Display employee is trained to take a proactive approach to staying abreast of new technology and developments in the POP arena. Our employees play an important role in keeping Pratt Display at the forefront of innovation. The work we’ve done with SKU rationalization is just one example. We evaluate active display vehicles and identify opportunities to reduce the number of structures through the use of common chassis and adaptation pieces. In some cases we have been able to reduce the number of structures by 75% without limiting the customer’s ability to engage all consumers and positively affect brand awareness in-store. Template-driven design greatly reduces one-time costs, enables us to gain efficiencies within our manufacturing process and aids in the reduction of labor during assembly due to component familiarity. The finite base of component parts and graphic adaptation elements, in addition to using historical data to create a modest “buffer” inventory, allows our customers to operate using a “make-to-order” philosophy rather than a “produce-to-forecast” program. Using this model, display components are ordered based on confirmed orders thereby reducing the amount of customer-owned non-performing inventory. Moreover, we recently developed a club-specific program using the same template-driven concept that not only provides costs savings and supply chain efficiencies, but increases consumer engagement while driving trial. The program was developed to meet the in-store requirements for Costco, Sam’s and BJ’s simultaneously. Using 100% recycled content linerboard and medium to produce our displays is just one part of the sustainability story. Our designers are trained to look for board-use efficiencies with every design and are tasked with creating the ideal pallet configuration to maximize truck space during shipment. How do we quantify the recycled content of a display? Simple. We have a scorecard that calculates the percentage based on materials used and run size. The tool not only calculates percentage, it captures the environmental benefits (trees saved, gallons of water saved, etc.) of using our linerboard versus that made from virgin materials. What is the benefit of the scorecards? Several retailers now require companies to report the recycled content of their in-store displays. The information is used to grade the supplier and drive the buyers’ purchasing decisions. Ultimately, the information will be shared with consumers to help them make informed decisions when purchasing products. We have created an extensive portfolio of engaging point-of-purchase materials, from temporary to semi-permanent to permanent displays, breathing life into products as diverse as cosmetics and automotive care. Create a PDQ tray for a new product launch within a 4 foot promotional space in the men's aisle at a popular Mass retailer. To communicate each product's unique features and demonstrate their versatility we installed Touch and Learns encased in plastic for longer shelf life at retail. The tray fully utilized the 4 foot promotional space and effectively communicated to the target customer. Braun was able to sell in 4 new SKU's and an additional 7,000 points of distribution. Create a cross category promotion display showcasing various cosmetic, hair and skin products to be retailed in a large mass merchant chain. To accommodate the large array and column of product, we designed a six-sided pallet. This enabled us to display the product mix required and as a bi-product, gave the display a unique look. The retailer successfully rolled out the program with zero defects and it was requested that our instruction sheet development become the "gold standard" for all major programs with similar complexity. 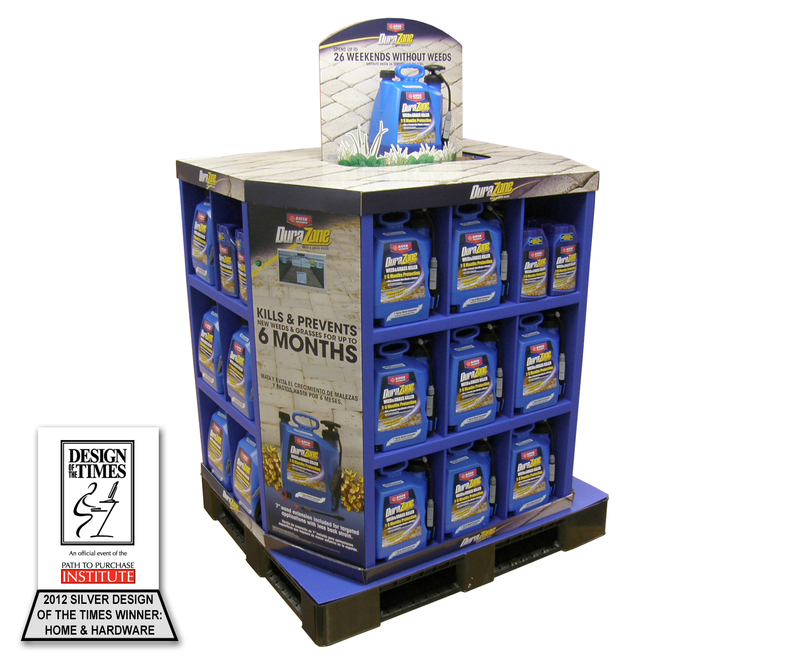 Create a full pallet display for a new product launch in a high traffic area near the lawn & garden department at a popular retailer. To accommodate the product's unique features, a 7" LCD monitor showing a 2-minute product demonstration video and a moving paperboard graphic simulating weed growth and removal were incorporated. 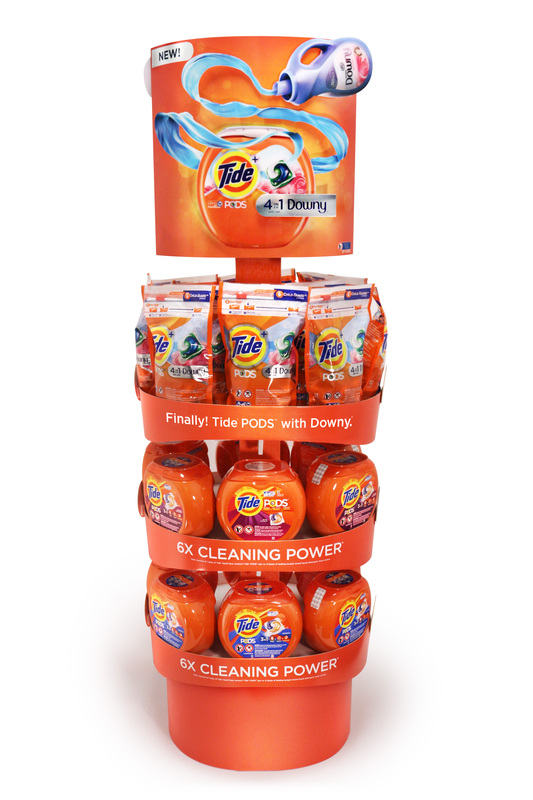 The displays increased awareness of the product and drove trial and loyalty. 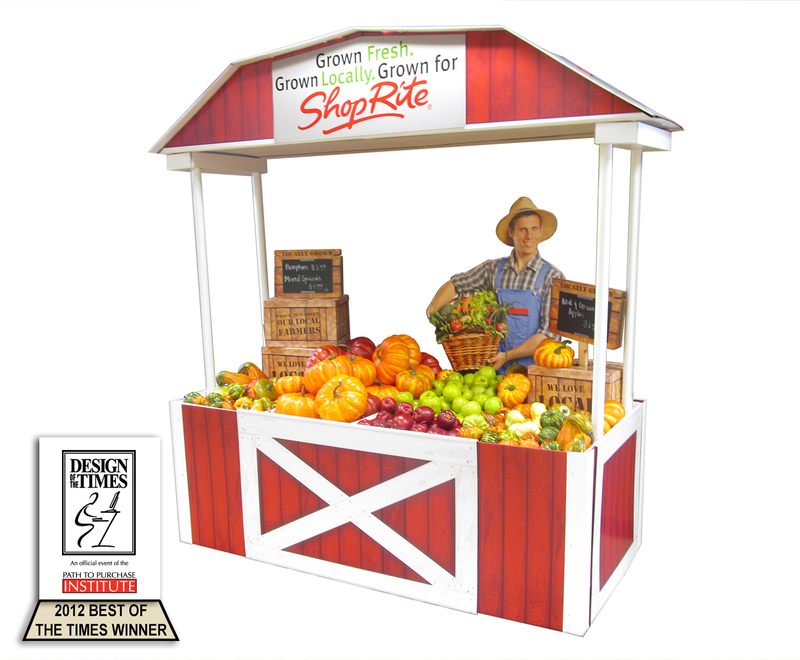 The objective of the barn-themed, produce-holding display designed for the Wakefern Food Corp. was to engage the shopper and bring awareness to the quality of locally grown produce. The commanding size of the display, vibrant print, and POS signage with hand-written details regarding where the produce was grown and cared for made it hard to miss. 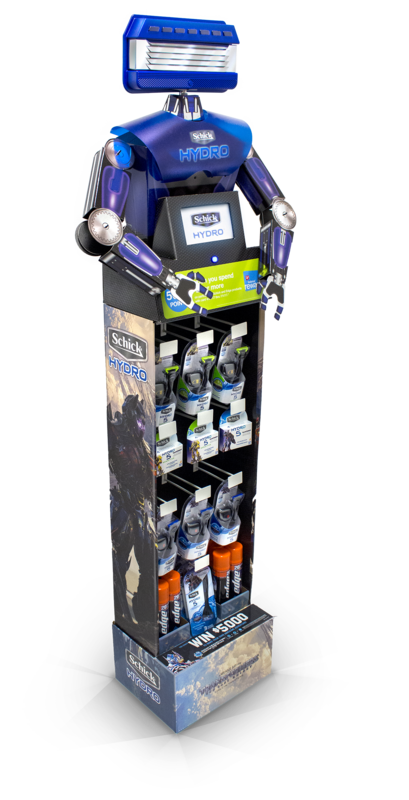 The displays were executed in the Mid-Atlantic and Northeast regions, and the display won highest honors at the 2012 Shopper Marketing Expo's Design of the Times contest. 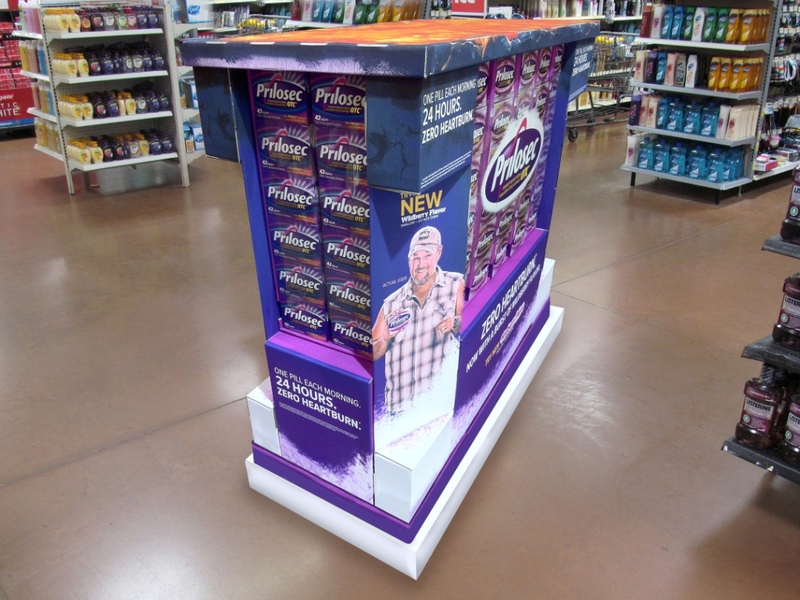 Design a half pallet display to promote the launch of a new, flavored Prilosec caplet. The display was designed to be positioned in Action Alley but versatile enough to be placed against another display with the same footprint or an end cap. The displays were successfully executed and found in different locations throughout the stores. To increase sales by improving brand identity while driving trials and regimen. 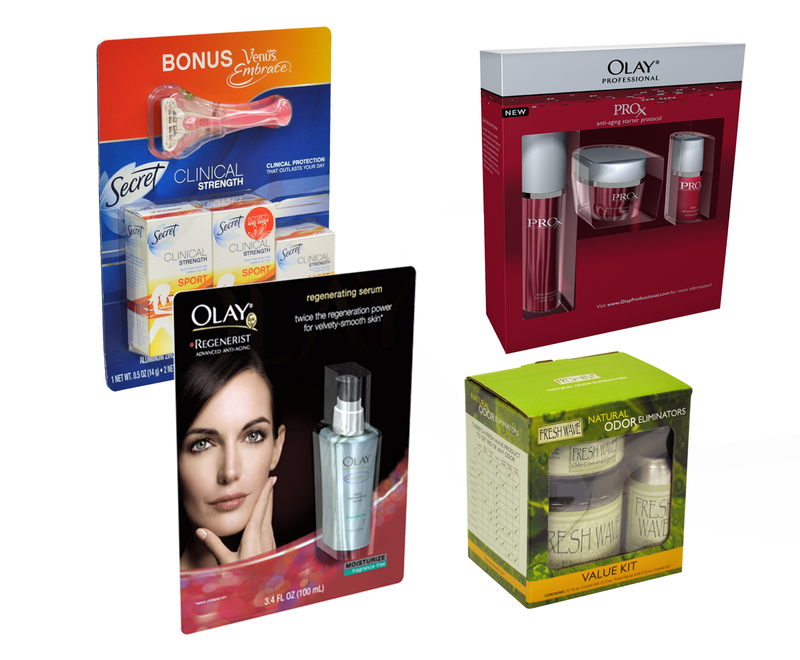 Utilize mixed materials to create unique consumer packs that communicate product benefit and value while facilitating cross brand pollination. Improved consumer product awareness, new brand loyalties and incremental sales. Secure incremental display space at Walgreens during the summer promotion of Paramount Pictures release of “Transformers: The Last Knight”. 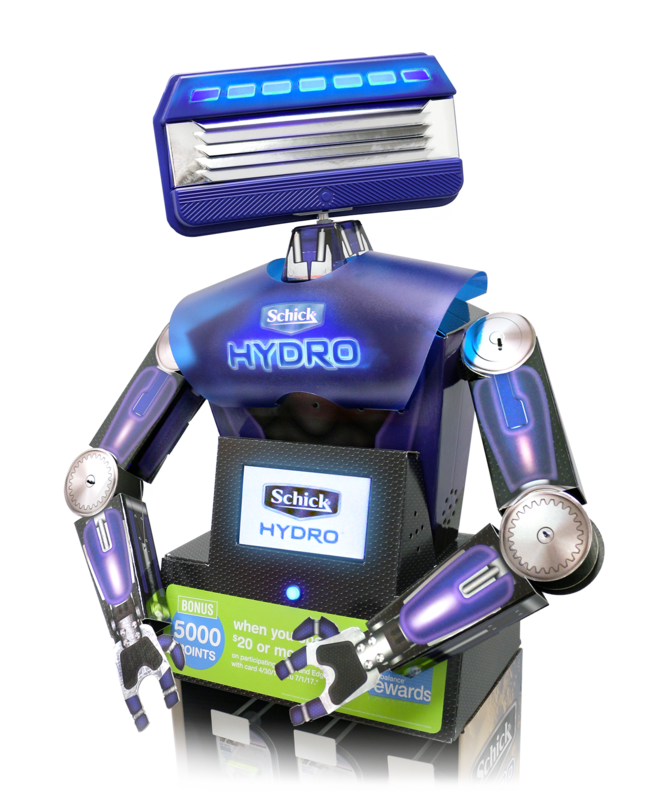 The motion-activated display with video monitor leveraged the movie release to engage the shopper and create a meaningful connection with the Hydro limited edition packaging. 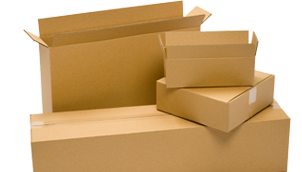 All corrugated materials were made from 100% recycled content. The display secured two months of display support at Walgreens and was replenished via third party retail teams. The display was also awarded Display of the Year, Most Creative, and Gold at the 2018 Shop! Association OMA contest. Develop a ¼ pallet for the national launch of Tide Pods with Downy that could easily be moved about to enable the individual stores to designate location (front-of-store, action alley, and laundry aisles). The display was designed as an oval to maximize footprint and product count, and to allow ease of movement through the store. During a 6-month period, more than 16,000 displays with over 1million consumer units were shipped nationwide. One retailer confirmed the Tide brand out-sold its biggest competitor during the first week, and many retailers placed repeat orders for multiple events. The display was also awarded Gold at the 2018 Shop! Association OMA contest. 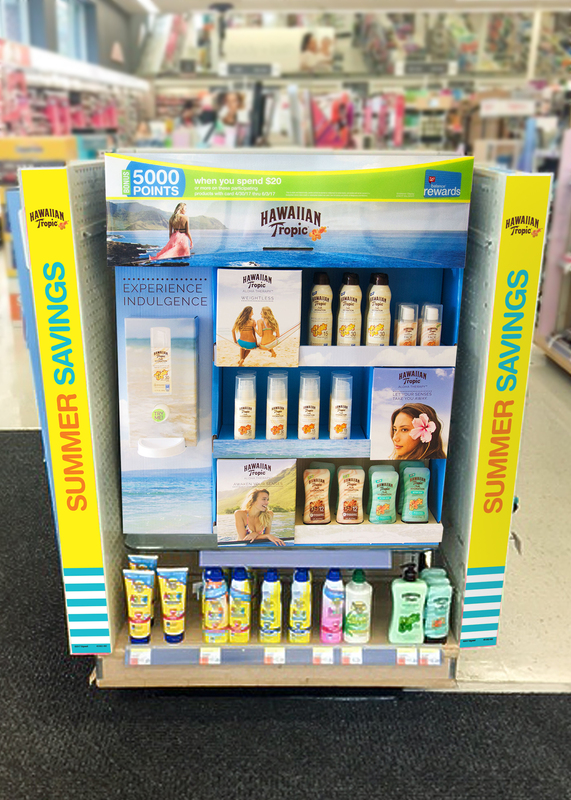 Drive awareness of the indulgent beauty of the Hawaiian Tropic brand to the Walgreens beauty category shopper. In addition to the lifestyle imagery used on the end-cap, the display included a tester unit to engage the shopper’s senses – touch, smell, and sight -- and help them immediately realize the product benefits. The end-cap was placed in the competitive, high-traffic beauty department of Walgreens with 100% compliance in-store. Leverage the secondary placement to drive trial of Edgewell’s new product, Playtex Sport Compact Tampon. 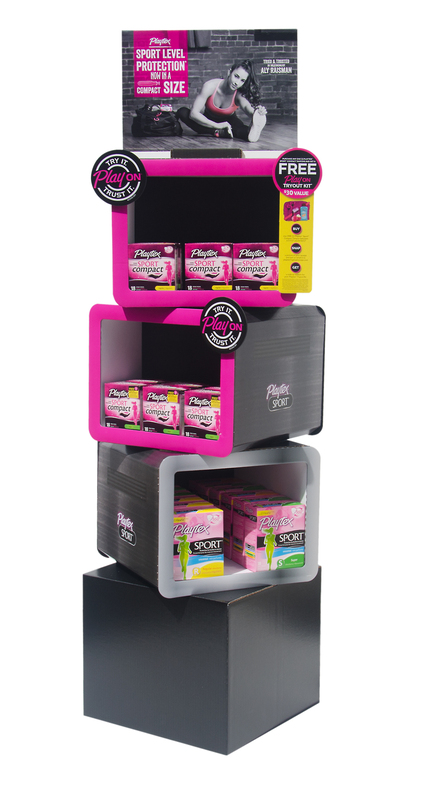 The display’s “locker room” design helped disrupt the auto-pilot mode of shoppers in the fem- care aisle, and supported Playtex’s athletic tampon brand positioning by featuring well-known gymnast Aly Raisman and a free “Tryout Kit” with purchase. The display increased brand awareness and drove trial of the compact tampon, as well as the full-size product offerings. The display was also awarded Bronze at the 2018 Shop! Association OMA contest. Subscribe to PrattIndustries.com's weekly coupons and special offers.